John Quidor was an American artist born in 1801 in Tappan, New Jersey. To make his big break in art, he moved to New York to take up an apprenticeship to John Wesley a portraitist. After that, he began to get his name out there.His name first appeared in the New York City Directory in 1827 (National Gallery of Art), where he was listed as a portrait painter. 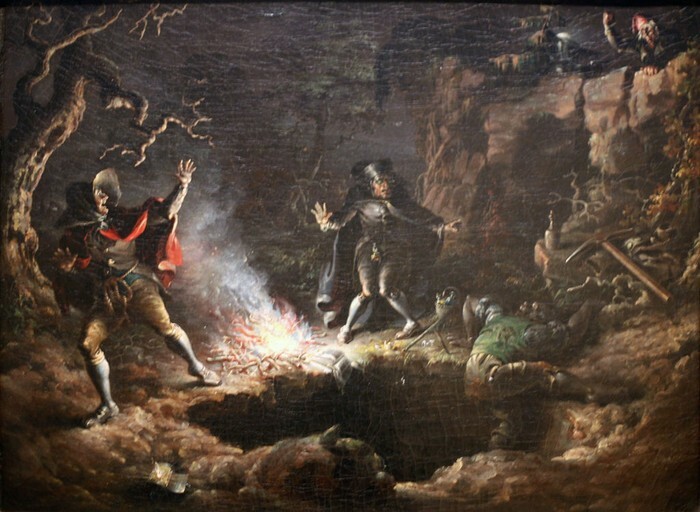 Quidor specialized in genre scenes derived from the novels of James Fenimore Cooper and Washington Irving. Quidor returned to his daughters home in New York, 1851 and resumed painting. In 1868 he retired and then died in New Jersey,1881. Quidor was not recognized as a professional success during his lifetime. It was not until John I. H. Baur's 1942 retrospective exhibition of his work at the Brooklyn Museum he came to be regarded as one of America's best literary painters. He was named this due to his “vivid, imaginative, and idiosyncratic interpretations” (National Gallery of Art), most historians regard Quidor as a "visionary eccentric” (National Gallery of Art). Quidor represented his literary subjects similar to their original texts. His work a strong resembles seventeenth century Dutch or Flemish genre prints. People used to believe that he was a uniquely and innovative painter. Quidor worked with and on engraved sources for the compositions of his early paintings, and that these influences were thoroughly assimilated into his later work. He had a mature style. 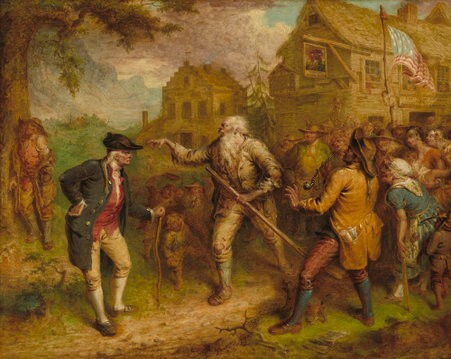 His work had “warm tonality, exuberant composition, and exaggerated linearism” (National Gallery of Art). As he got older, he began to change how he did his work. He started to have thinly painted indistinct forms, very little color, and calligraphic brushwork. With all of this he became a major influence in these artistic times. "John Quidor." - Artist, Fine Art Prices, Auction Records for. Web. 2 Dec. 2015. "National Gallery of Art." Artist Info. Web. 2 Dec. 2015. "Search Collections. 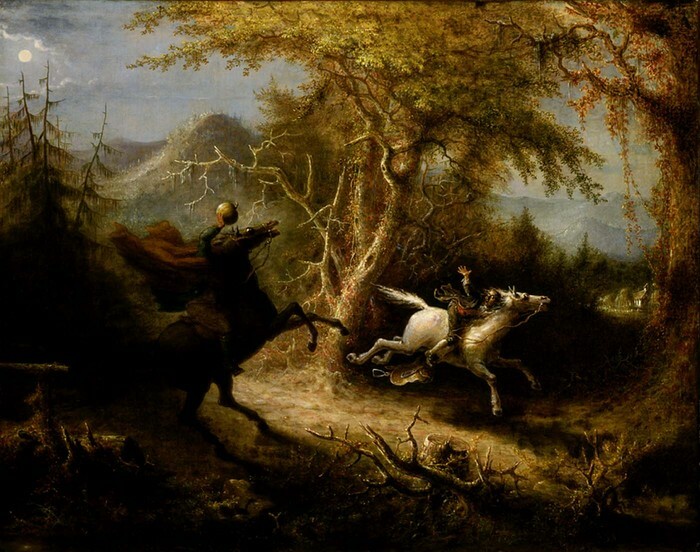 "The Headless Horseman Pursuing Ichabod Crane by John Quidor/American Art. Web. 2 Dec.2015. Wikipedia. Wikimedia Foundation. Web. 2 Dec. 2015.